At LEGOLAND California everyone in the family becomes a hero on more than 50 incredible rides, shows and attractions. Sail the high seas and get ready to use water cannons as you meet other pirates in Splash Battle. Knights can test their bravery on the spine-tingling adventure Knights’ Tournament. Jump in a Fire Truck and race to put out a burning building at Fun Town Fire Academy. Or, put your kids in the driver’s seat at the Volvo Driving School, where they’ll earn their driver’s license. LEGOLAND California is located at One LEGOLAND Drive, just off Interstate 5, in the seaside village of Carlsbad, 30 minutes north of San Diego and one hour south of Anaheim. 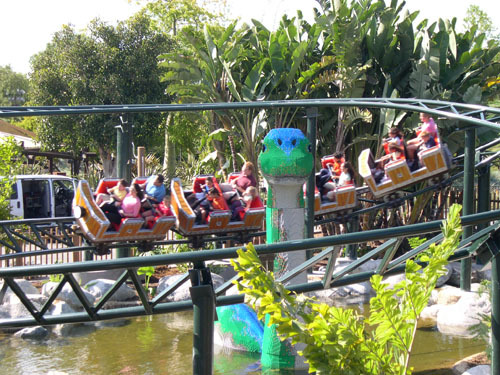 LEGOLAND California has more than super 50 rides, shows and attractions for the whole family to enjoy. The park is specifically geared towards children ages 2-12.